Part time Student, Full time Fly Fisher would about sum it up for me at the moment. My name is Cameron and I currently live in Hamilton, New Zealand, within a short drive of some of the best trout fishing on this planet. There may be trout on another planet but until we track down those extra terrestrials down we are stuck with our own fish, which I can live with. When not studying Law I work part time at Fish City in Hamilton. I enjoy all types of fishing and also a bit of hunting when I can get out. I first really started fly fishing a couple of years back when I realised that to get my fishing fix, the ocean was simply too far to drive on a student budget so I found myself taking refuge in some of the many Waikato small streams. I had always trout fished with my Dad and given fly fishing a go a few times but it wasn't until I got my own vehicle that I really became addicted. People who think that coffee is addictive have obviously not been fly fishing. Anyway I figured I should start a blog or something because I am gathering and tracking down more fly fishing related material than I can handle so I decided I should spread the love and share it with the world (or whoever is interested). I'll try to update the page and keep things as fresh as possible and I guess you should bookmark it or share it on Facebook or something. Be the media socialite you were destined to be! 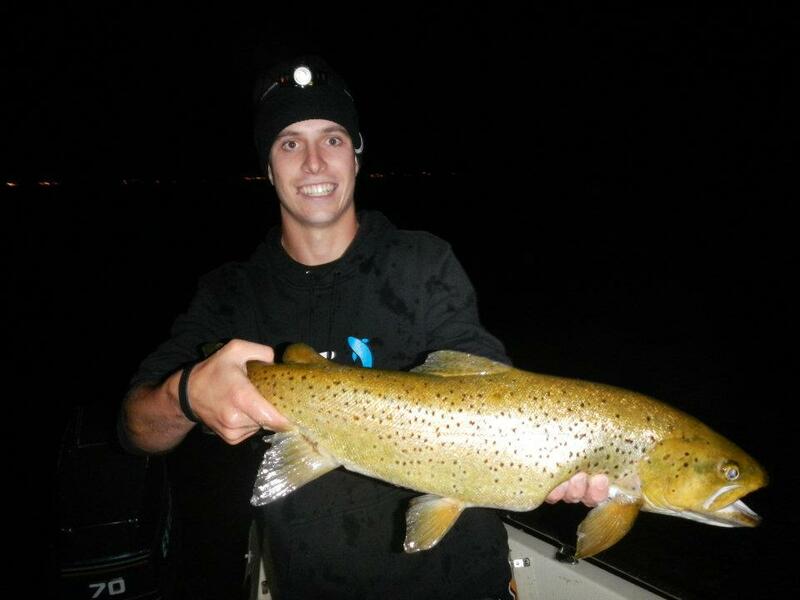 I'll leave you with a photo of a Rotorua Brown I caught last week. Dark skies and lumo flies!